Everyone talks about the calm before the storm, but no one realizes the magnitude of the damage storms leave behind until it is your property that is damaged. Not only is your home a major financial investment but it is your family's safe haven. Here at M Roofing, LLC, we strive to help you keep it that way. Let's face it, storms are unpredictable. Even if you are a responsible property owner who has taken proper precautions, Mother Nature can still wreak havoc on your home. Most commonly associated with storms are high-speed winds and heavy rains which can cause a multitude of types of storm damage. Storm Damage ranges from a blown off roof, roof damage, broken windows, missing or damaged siding, missing or damaged fencing, downed trees, to water damage in exposed and vulnerable surfaces. M Roofing, LLC has been restoring homes and commercial properties back to their pre-storm condition since 2000. We know how overwhelming the aftermath can be and will do the heavy lifting for you. Give us a call at (832) 856-3853 for a fast quote and be one step closer to recovery. Although the majority of standard modern windows are made to withstand high winds, glass can still shatter when exposed to extreme storms. Windows can be impacted due to hail, storm debris and projectiles, severe wind gusts, and sustained high-speed winds. You will want to contact a professional storm damage restoration contractor as soon as possible to quickly have any broken windows replaced. Here at M Roofing, LLC we offer emergency services for a speedy window repair and replacement. Quickly completing the necessary window repairs will prevent any water damage within your interior space as well as prevent any waste in energy consumption. Give us a call at (832) 856-3853 for a fast quote on window repair and replacement. 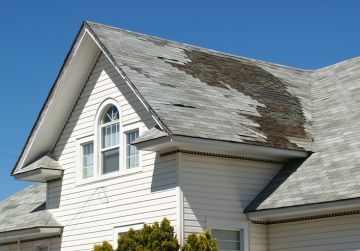 Severe weather from storms such as hurricanes and tornadoes can cause moderate to significant roof damage and even remove a structure's roof completely. Your home's roof is not only the 1st line of defense against the outside elements but it is also a key factor in regard to your home's structural integrity. When your home or property has been exposed to substantial storm damage you need a professional exterior contractor who can repair or replace your roof both quickly and precisely. When you call M Roofing, LLC for storm damage repair you can guarantee we will promptly inspect and repair your roofing as needed to prevent any further weather or structural damage to the interior. M Roofing, LLC's expert roofers can provide emergency roof tarping and priority roof repair and roof replacement services as needed. Give us a call at (832) 856-3853 for a fast, free quote and take the first step in restoring your home or property. When you think of storm damage you may not think about damaged or missing siding as a priority, but you absolutely should! Broken or missing siding can expose the interior of your home or business to additional weather damage and excess moisture which can lead to costly repairs later on. Neglected siding damage can also allow entry points into your home or business for insects, rodents and other nuisance wildlife to take up residence. Majority of insurance policies will cover siding damage that was caused due to wind and hail, making paying for repairs one less thing you have to worry about. If filing a claim M Roofing, LLC will handle the process directly with your insurance company for you. Our goal as your contractor and your advocate is to make your experience hassle free from start to finish. Call us today at (832) 856-3853 for a storm damage restoration quote that is fast and free.